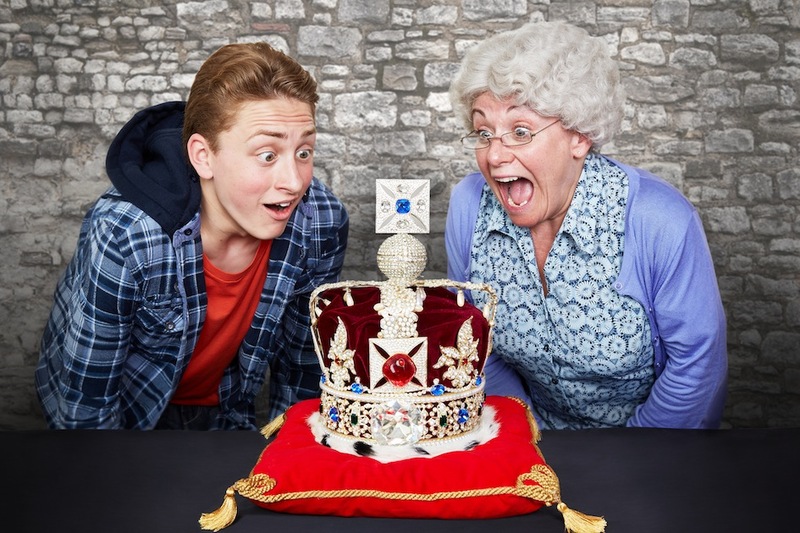 Last night’s stage performance of Gangsta Granny at The New Theatre Cardiff perfectly captured the fun and farce of the David Walliams book. 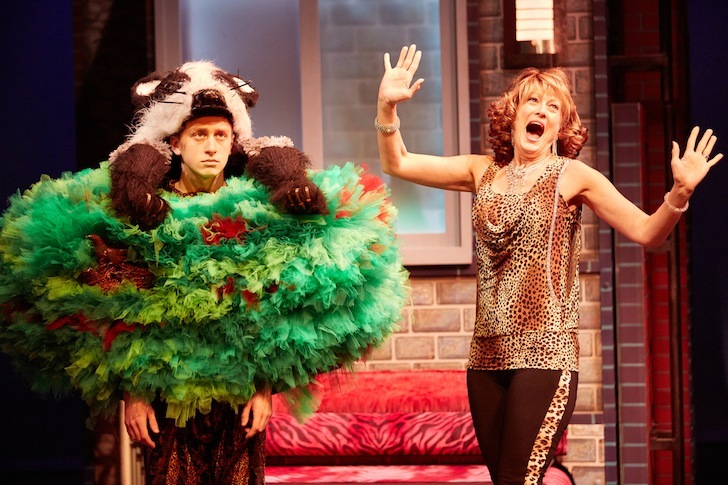 My younger son is a huge fan of his rib-tickling writing, as well as of the Birmingham Stage Company (which brought Horrible Histories to the theatre in their own inimitable style) and he loved every minute of their adaptation. 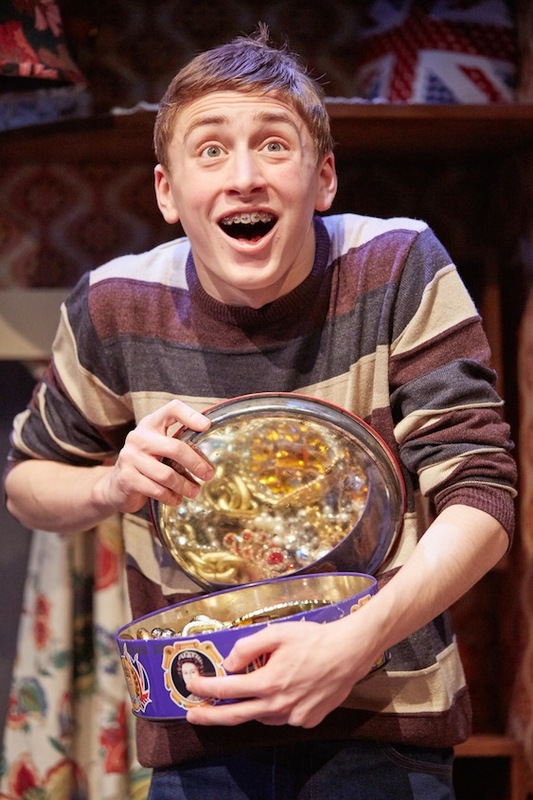 The story revolves around an eleven year old Ben (energetically played by talented A level student Ashley Cousins) who dreads going to his boring old cabbage-consuming (and cabbage-trumping) Granny’s for a sleepover every Friday night. Until, that is, he discovers her secret past as an International jewel thief. Suddenly this lonely old woman isn’t quite so mundane any more and he wants to spend more and more time with her as they plot to steal the Crown Jewels together. Cue the laughter as Ashley and Granny get involved in everything from gangsta-rapping to ‘racing’ across the stage on a mobility scooter clad in wetsuits and doing yoga in underpants. The cast are comic geniuses all, claiming the stage with larger than life performances and delivering their witty scripts with aplomb whilst speeding the action along at a pithy pace to keep even the youngest audience members spellbound. Behind the humour – as with most of Walliams’ books – there’s a message to ponder over. And in this case it’s a polite push to the younger generation to perhaps take more of an interest in their elderly relatives and to appreciate the fact that they might have had the life of Riley before they became ‘boring’ and bedbound. The production is, in fact, dedicated to Rose Zierer, a pensioner that the adaptor and director Neal Foster was paired with in a Good Neighbours Scheme via Age UK. He visited Rose every week for six years and it changed both their lives.